Update: As of December, 2018, hemp was designated an agricultural commodity, separating it from marijuana, its botanical cousin. Learn more here. As silly as that question sounds on its face, there's more to hemp's legal status than meets the eye. After years of selling Sympatico hemp/Tencel clothing, it was a customer at a craft fair who got me curious. She said she had always thought hemp was illegal and wondered how hemp clothing was exempt. What I found out is curious indeed. In the years since that conversation, hemp’s been in the news a lot. Growing interest in not just hemp clothing but also medicines containing CBD have kept it in the headlines and made its status even more curious. As I noted in a more recent blog post, in the 2018 Farm Bill, Congress finally recognized industrial hemp as an agricultural commodity, separating it from its more notorious cousin, marijuana. First, a little botany: Both industrial hemp, the stuff that textiles, paper and foods are made with, and recreational/medicinal cannabis come from plants that share a common ancestor. Over the more than 7,000 years in which humans have grown cannabis, selective breeding has resulted in the emergence of many cannabis varieties. To understand the differences between cannabis grown for industrial hemp purposes as opposed to strains cultivated for marijuana requires some botanical clarification. Hemp bred for its seeds, oil and fiber contains trace quantities of THC (tetrahydrocannabinol), the stuff that produces the euphoric effects of recreational and medicinal marijuana. Smoking industrial hemp varieties is more likely to give you a headache than a high. On the other hand, cannabis grown for marijuana can contain more than 30% THC and has been bred to produce little fiber and no seeds whatsoever. Marijuana cultivators cull male plants to prevent the female, bud-bearing plants from producing seeds that diminish their psychoactive potency. Until recently, the U.S. government did not distinguish between these two very different plants grown for completely different purposes. 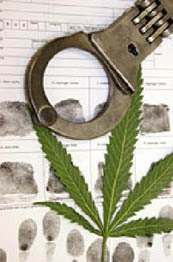 Since 1937 it had been illegal to grow any variety of cannabis including industrial hemp in the U.S. Industrial hemp was lumped in the same class as heroin under the Controlled Substances Act, a feature of Richard Nixon’s War on Drugs. Another interesting wrinkle is the opposition to industrial hemp by some outdoor recreational and medicinal marijuana growers. 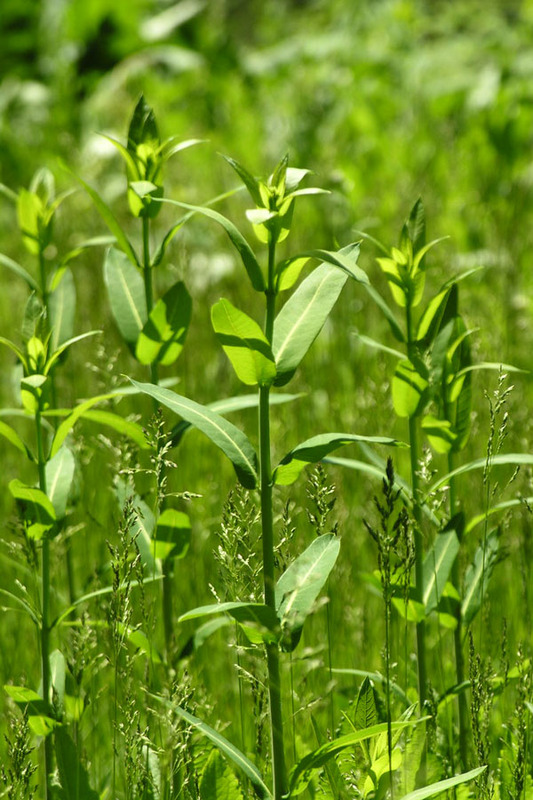 Cross-pollination by male hemp plants could ruin the potency of marijuana bred for its medicinal and recreational properties. Meanwhile, industrial hemp production is taking off all over the world in response to consumer and manufacturing demand for hemp clothing, oil, paper and seeds. Today more than 30 countries are growing hemp. In Canada, industrial hemp THC content is limited to 0.3%. Since it is typically grown using few if any synthetic fertilizers or pesticides, hemp is among the world's most environmentally friendly crops. And as one of the fastest-growing biomasses on the planet, it holds the promise of replacing synthetic fibers whose manufacture threatens our ecosphere. For more information about hemp's use in clothing, read our story here. Blended with eco-friendly Tencel, a fiber made from sustainably farmed eucalyptus trees, hemp is a mainstay of the Sympatico Clothing collection. 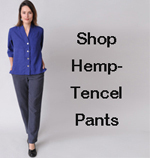 Learn more about our supple, rayon-like hemp/Tencel fabric here.